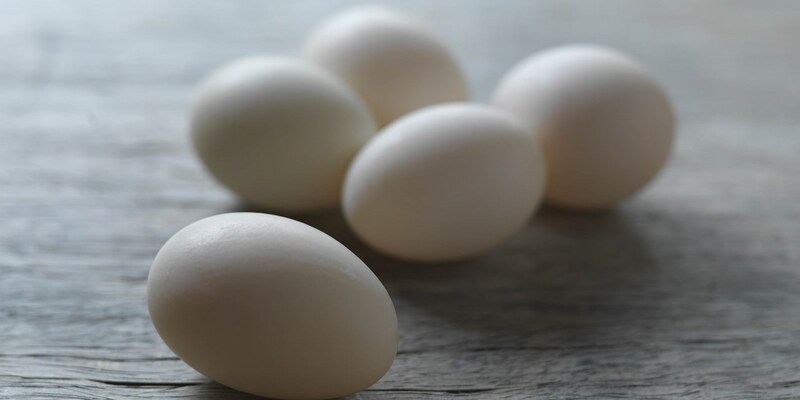 Duck eggs are used frequently in East Asia, and are commonplace in the cuisines of countries such as the Philippines, Vietnam, China and Malaysia. The shells of a duck egg are more porous, making them wonderful for brining, pickling, curing and preserving. Eggs are a popular ingredient for breakfasts in Britain, and duck eggs are a brilliant swap for the usual hen's variety. Use a duck's egg much as you would a hen's egg; fry it, poach it, boil it or scramble it, if you wish. There is more yolk to egg white in a duck's egg than the familiar chicken's egg, and the colour of a duck egg’s yolk takes on a richer, reddish-orange hue when cooked making it all the more attractive on the plate. Adam Gray's Smoked bacon hash with a fried duck egg is everything that's right and glorious with the notion of breakfast, or why not bring breakfast to dinner with Nathan Outlaw’s stunning Boiled egg and soldiers, a wonderful and impressive asparagus starter recipe. For a fantastic seasonal lunch option, Shaun Rankin's Duck egg salad with asapargus and Jersey Royals is a light yet hearty option full of flavour. For something really exquisite, Poached duck egg with roasted onion consommé, lemon thyme and smoked duck from Simon Hulstone demonstrates a remarkable play of ingredients to create a distinctive starter for a dinner party.